The National RV Training Academy (NRVTA) began operations at the Athens, Texas training facility in January of 2018. We offer the RV Apprenticeship Technician Program - a structured curriculum for the RV professional who desires to work towards becoming an RVDA/RVIA Certified RV Technician. Along with the professional training curriculum, there are courses for the consumer who wants to know more about their RV and be able to further their skills with new knowledge and hands-on abilities. Steve Anderson has been an entrepreneur most of his life. Over the past twelve plus years he has owned and operated Workamper News. Its mission is to connect the RVer with opportunities to experience America one job at a time. This mission remains strong and has been key in leading him to the development of other industry supporting businesses such as RV Inspection Connection and the National RV Inspectors Association. Steve provides the administrative and operation expertise for the Texan RV Park which serves as the home of the National RV Training Academy. He also serves as Chairman of the Board of Directors for the Big Red School House & Community Center. This facility will house the courses presented by the National RV Training Academy. The strength that Steve brings to the table, along with years of experience and his connections with Workampers across America plays a key in the success of this new training endeavor. 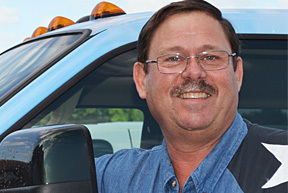 Terry D. Cooper, the Texas RV Professor, is a Master Certified RV Technician and a Professional Technical Trainer. He is the recipient of the National Scholastic Achievement Award from RVIA (Recreational Vehicle Industry Association). 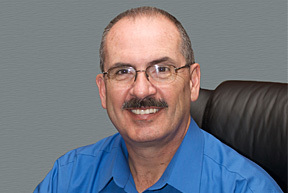 He currently serves as the President of the National RV Inspectors Association and has been named the Managing Director of the National RV Training Academy. As Managing Director, Cooper is responsible for the development and implementation of the technical training that takes place at the National RV Training Academy in Athens, Texas. Cooper has also been tasked with overseeing the Train the Trainer Program that develops qualified instructors to not only train at the National RV Training Academy but also go to dealerships, campgrounds, Rallies and RV Shows helping to educate others. He serves as the liaison and technical contact for RV vendors, manufacturers and suppliers that wish to utilize the National RV Training Academy facility to educate their customers and train their technical installers.